The Pasco County Sheriff’s Office has a special officer whose job is to be friendly. It’s one of the few officer friendly programs left in the state. 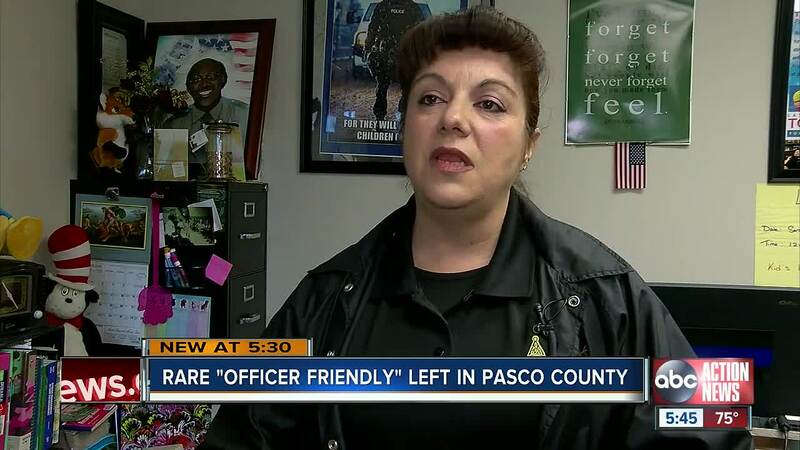 PASCO COUNTY, Fla. — The Pasco County Sheriff’s Office has a special officer whose job is to be friendly. It’s one of the few "Officer Friendly" programs left in the state. Officer Jessica Ziegler is a Pasco County Sheriff’s deputy whose job is to take care of her community. “The job itself is to bridge that gap between the community and the sheriff’s office,” said Jessica Ziegler, officer friendly program. "Officer Friendly" is a federally funded program and there used to be a lot more officers, but after 9/11 federal funding was cut. Pasco County kept the program and Ziegler is one of the few officer friendlies that are left. She helps with everything from making sure families have food to checking on sick people in the community. Her goal is to make sure kids don't become victims or criminals. Her main focus is to connect with the community — young and old. Her office is in Lacoochee, one of the poorest areas in the state where crime is high and morale is low. Officer Ziegler says things have really changed since she has arrived. "The kids are able to succeed, the families feel better and the crime rate goes down," said Ziegler. Recently, they gave out 200 shoes to kids the area and are giving out 50 bikes donated by Walmart to kids who keep up their grades in school. "This helps the kids feel better and takes away the pressure of the parents to provide," said Ziegler.